Based on the latest stats from M:Metrics, the iPhone is delivering on its hype, radically changing what people are doing with the mobile Web. The iPhone is already the most popular device for accessing news and information on the mobile Web, with 85 percent of iPhone users accessing news and information in the month of January. 30.9 percent of iPhone owners watched mobile TV or video, versus a 4.6 market average, and more than double the rate for all smartphone users. 30.4 percent of iPhone owners accessed YouTube, compared to 1 percent of all mobile phone users. 36 percent used Google Maps, compared to 2.6 percent of all mobile users. Usage of social networking is also popular among iPhone users: 49.7 percent accessed a social networking site in January, nearly twelve times the market average. Twenty percent of iPhone owners accessed Facebook, one of the first Web properties to customize its content for the iPhone, versus 1.5 percent of the total mobile market. 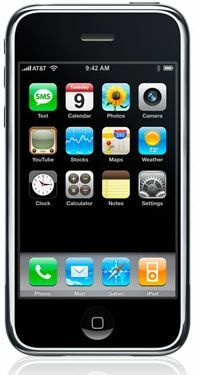 The iPhone offers a taste of the future; iPhone users are using the devices in all sorts of leading edge ways. It also shows how mobile users will use Internet media when they get capable devices and unlimited data plans. And wouldn’t it be cool to listen to podcasts on your iPhone, without having to subscribe and just as if they were little radio stations?